Structural color materials with the property of angle-independence have attracted increasing interest in recent years because of their applications in various research fields. In this paper, inspired by the anisotropic lattice microstructure of the Parides sesostris butterfly, we present a novel angle-independent structural material by simply doping spinous pollen particles into the colloidal crystal arrays to interfere their self-assembling process. The resultant composited materials have anisotropic close-packed colloidal crystal domains around the spikes of the pollens. 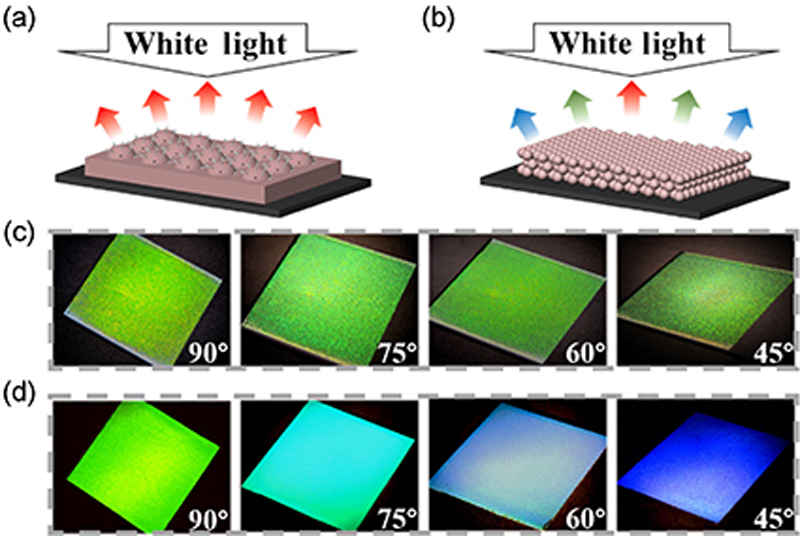 These differently oriented domains could reflect the light to a wide range of viewing angles, and thus imparted the composite materials with the same wide angle of structural colors. Attractively, the materials were endowed with light-controlled reversible structural color changing behavior by incorporating photothermal responsive graphene-tagged hydrogels. 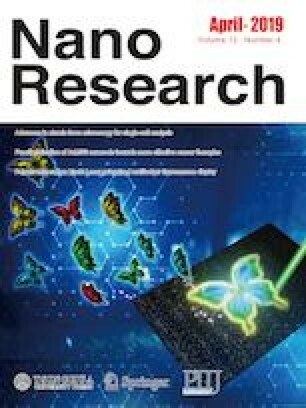 These features of the bioinspired angle-independent structural color materials showed their potential values in constructing intelligent sensors, anti-counterfeiting barcode labels, and so on. Supplementary material is available for this article at https://doi.org/10.1007/s12274-019-2395-7 and is accessible for authorized users. This research was supported by the National Natural Science Foundation of China (Nos. 21105011 and 91227124), the Natural Science Foundation of Jiangsu (No. BK2012735), the Program for Changjiang Scholars and Innovative Research Team in University (IRT1222). Y. J. Z. thanks the Program for New Century Excellent Talents in University and the Scientific Research Foundation of Southeast University.